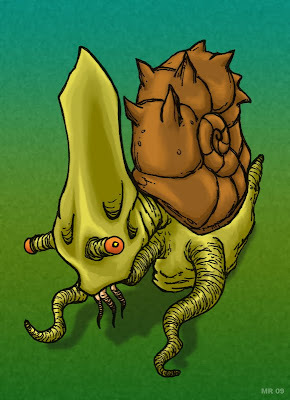 Hideous, gigantic snails which consume everything in their path. Found on a secluded Pacific Island, they are kept in balance by a number of even larger predators. The Kreativ Gods call upon thee, Hawanja, got an award going up for you this evening!